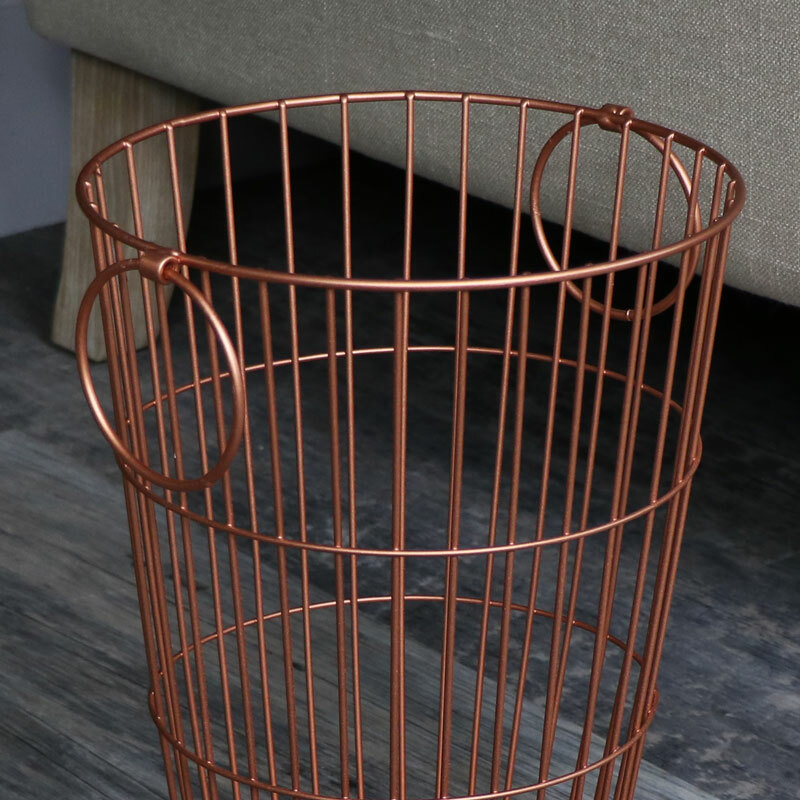 This copper look metal wire basket waste bin is perfect for a most interiors especially though with an industrial look Wire metal bin with 2 drop ring handles in a stylish and vintage copper colour. 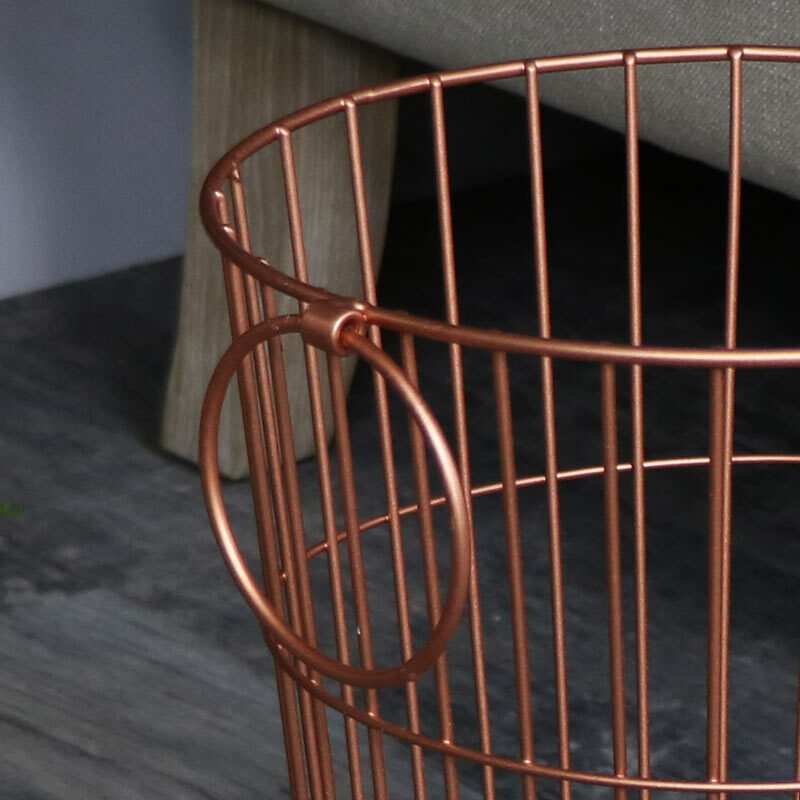 A great little accessory for your home, place it in your living room, office, hallway, bedroom or bathroom. 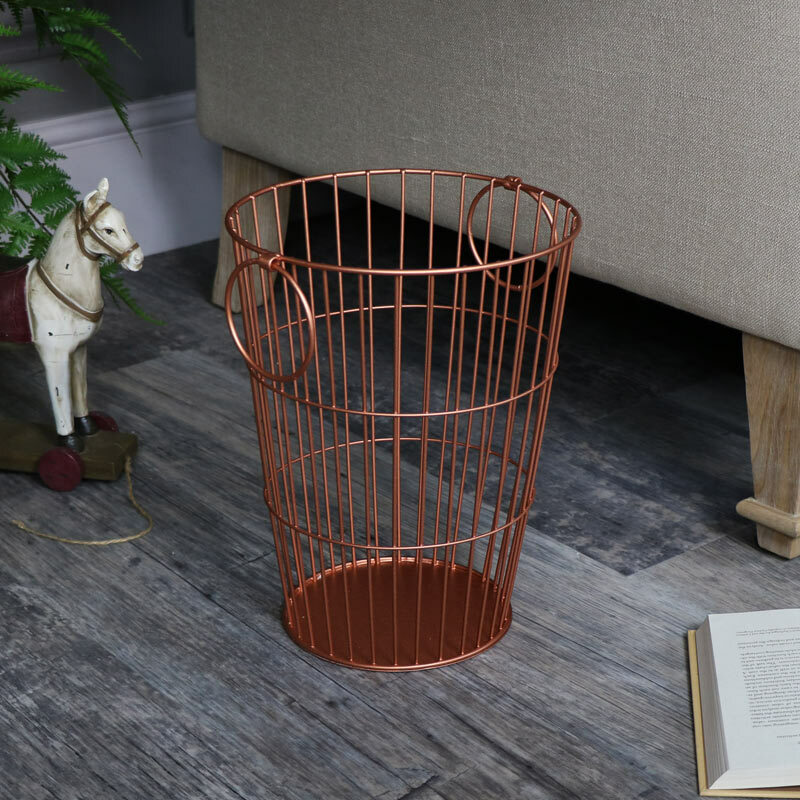 Small enough to put out of the way but stylish enough to suit any room and very useful.